History of Gamers: Gamers has been around since 1993 and was founded and owned by Dale Miller. On September 26 2018 Gamers closed there doors for unforeseen reasons. In November of 2018 David Mitchell (the current owner of Gamers) spoke to the owner of the Gamers building on 72nd and Dodge and the idea to possibly reopen the store location was given to Mr. Mitchell. 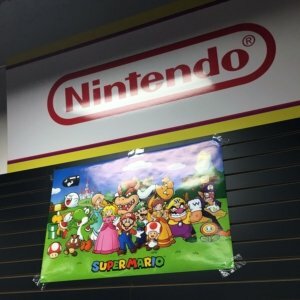 David Mitchell who had the funds to put down on the space for rent and deposit ($12,000) reached out to Chris Thompson (owner of the Game Room) to help make a deal with Gamers and the bank. David Mitchell and Chris Thompson originally had the idea to co-own the Gamers store on 72nd but came up with a better plan and idea for both parties. Chris would have the 72nd location and would have to rename it to his own store and David would get full legal ownership and Gamers and all its Trademarks. So Chris struck a deal with US bank to liquidate all of Gamers inventory and in return we would get the Gamers name, all of the intellectual property, and all of the Gamers infrastructure. So they sold of all Gamers inventory and the 72nd Street location was reopened up as a new store location. David Mitchell then obtained a lease for the Center street Gamers location and reopened it up as Gamers!